In a recently published study, researchers who examined the effects of the three anticoagulants Xarelto, Eliquis, and Pradaxa conclude that Xarelto was associated with more incidents of gastrointestinal bleeding than the other two. All three of the drugs, however, were associated with increased GI bleeding. The drugs are all direct oral anticoagulant (DOAC) agents, relatively new, and intended to take the place of warfarin, the most prevalently prescribed blood thinner. The study was conducted by the Mayo Clinic and published in the medical journal Gastroenterology. It examines data from roughly 57,000 patients with non-valve atrial fibrillation who were prescribed Xarelto, Eliquis, or Pradaxa in the period from October 1, 2010 to February 28, 2015 and experienced gastrointestinal bleeding. Incidents of GI bleeding rose in all groups of patients 75 years old or older who took any of the three drugs. Manufacturers of the DOAC agents have all claimed that the drugs best warfarin in ease of use and reduction in the amount of blood monitoring needed to ascertain that the correct dose is being given. However, significant issues have been associated with the DOAC agents. If bleeding begins while a patient is on warfarin, the effects are easily reversible with vitamin K and fresh frozen plasma. If bleeding begins when patients are on Xarelto or Eliquis, no reversal agents exist. Bleeding problems linked to these drugs can be fatal. Praxbind, a reversal agent for Pradaxa, came to market in early 2016. Portola Pharmaceuticals has developed and submitted to the FDA for approval a reversal agent for Xarelto and Eliquis. However, FDA approval was withheld pending additional information on its manufacture and whether it can be utilized with Savaysa and Lovenox, two additional blood thinners. Since the DOAC drugs became available, they have been the subject of a high number of drug safety reports on problems with uncontrolled bleeding. 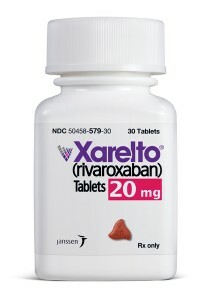 Right now, there are roughly 15,000 Xarelto lawsuits in courts nationwide. The suits claim that the manufacturers, Bayer Healthcare and Janssen Pharmaceuticals, offered the drug with no warning about the fact that a reversal agent was unavailable. They are charged with selling an unreasonably dangerous and defective drug. The product liability lawsuits allege that the drug should never have been made available before a reversal agent was also available. Damages are sought for severe bleeding and for wrongful death. Federal district courts will begin a number of bellwether trials involving Xarelto in early 2017. Bellwether trials give an indication of how juries respond to evidence and claims likely to be common to all the cases. Prior to the availability of Praxbind, Pradaxa faced a number of lawsuits as well. Pradaxa’s manufacturers ultimately settled approximately 4,000 cases for $650 million. Settlements in Xarelto cases may be larger because its market share is bigger and more reports of patient bleeding have been received.